Robert Park (right) inspects wheat plots in Ethiopia. The battle against crop diseases is gaining increased attention, and Robert Park plays a leading role in keeping the world fed. Prof Robert Park helps to ensure that our shelves stock affordable bread and pasta, standing guard against the diseases and pests that once made food supplies unreliable. Park is a leader in the fight against wheat rust, a fungus that has historically been the most significant suppressor of wheat production. In 1973 an epidemic of stem rust reduced wheat yields by $200–300 million across south-eastern Australia. “Today something of the same size would cost more than $1 billion dollars,” says Park. The University of Sydney’s Faculty of Agriculture, Food and Natural Resources, where Park is based, has played a key part in breeding strains of wheat that are resistant to most forms of rust present in Australia, preventing a repetition of the 1973 epidemic. Park says the importance of resistant strains has been recognised by grain growers, and since the 1950s funding has been available from the industry through the Grains Research and Development Corporation. Initially this required the detection of resistant strains and slow cross-breeding until a resistant, but high yield, variety could be grown commercially. As time has gone on, however, techniques have advanced. “We can now use genetic markers to identify resistance genes and map their presence in cross-breeds,” says Park. The tools of molecular biology allow faster development of new strains, but Park says that “the acid test is growing the strains in Kenya,” where they are exposed to many varieties of rust. All pre-existing strains of rust have been brought under control in Australia, but 11 new ones have arrived over the past 90 years. The latest, first identified in 2002, is a form of stripe rust that may have been carried by high altitude winds from Africa. This strain has since mutated, temporarily out-manoeuvring attempts to deploy partial resistance in pre-existing wheat varieties. Last summer it caused significant damage to Australian wheat crops to the point that fungicide supplies ran out in NSW, leaving some farmers unprotected. Park says that even with the benefits of molecular biology it takes 10 years to produce a strain of wheat that is resistant to a newly targeted form of rust and make it widely available commercially. In the longer-term Park is part of research to identify four or five resistant genes and deploy them in a single strain of wheat. The theory runs that while rust has a way of finding its way around a single resistance gene, it might not be able to overcome several simultaneously. Cross-breeding of so many genes, while maintaining high yields and quality, would be almost impossible, so such an approach would require genetic modification techniques. Aside from the challenges of public opposition to GM, Park says that “at this stage we don’t have four resistant genes” so application remains some way off. His undergraduate degree in botany at La Trobe University led to a PhD in eucalyptus diseases. However, he couldn’t find a job in forestry after graduating, and was excited to obtain a Queensland position fighting stripe rust. This eventually led him to the University of Sydney, where he says Prof Bob McIntosh “was the international guru on rust”. Park’s work has always been applied far beyond Australia, but it is now increasingly important globally. UG99 is a strain of stem rust that has spread from Uganda to the Middle East and southern Africa, with clear potential to prove catastrophic for the lives of wheat farmers and developing nations in general. Norman Borlaug, the agricultural scientist who launched the Green Revolution, was concerned about UG99 and wondered why rice is not susceptible to rust. “We’ve sequenced the rice genome so it is easy to study, while wheat has a huge genome,” says Park. Borlaug convinced the Bill and Melinda Gates Foundation that UG99 needed $23 million for a project headed by Cornell University to fight it. The rice idea has become a small part of a wider search for defences, with Park leading the pathogen tracking and surveillance component of the project. 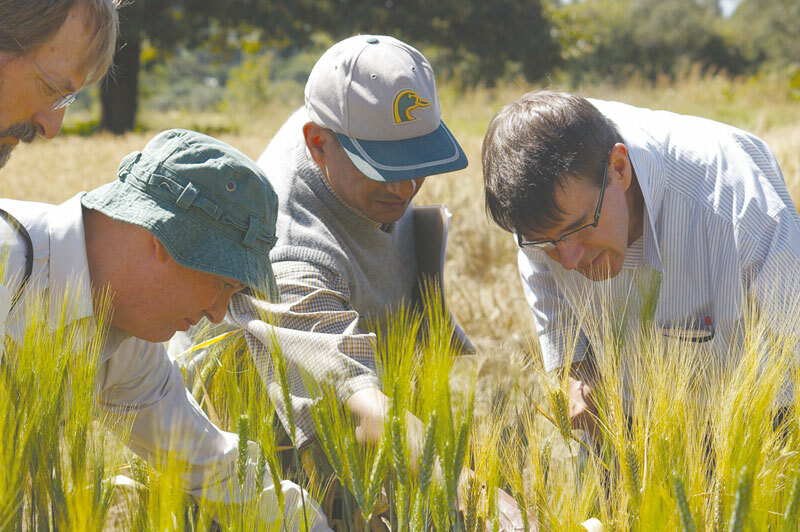 Dr Kathy Kahn, Program Manager with the Gates Foundation, noted that many of the positions being created to fight cereal rust were being filled by University of Sydney graduates. “She said to me that I must be very proud, and that it would be a good thing if we trained more graduates,” says Park. This led to funding of $0.5 million to provide scholarships for five East African scientists to continue their studies at the University. When interviewed Park was about to leave for Africa to meet future students and examine plots of wheat being grown in Kenya, where they are naturally exposed to many strains of rust.